After a worrisome slowdown for a couple of years, startup funding has picked up with a bang in India this year, to the relief of both founders and investors. Starting with the Walmart-Flipkart deal, the country has seen its biggest surge in investment activity since the early boom in 2014-2015, led by startups mushrooming across major Indian cities. This is attracting investors looking to put money in seed and other early rounds of funding, with the hope of getting in on cheap valuations while keeping a sufficient appetite for risk. While early stage funding still comes with a caveat, given that the quality of fledgeling startups in India leaves a lot to be desired, there has been a perceptible increase in funding participation in growth stage startups through series A, B, and C rounds. However, venture capital funds that focus exclusively on growth stage startups are few and far between. Bertelsmann India Investments, the strategic investment arm of the Germany based Bertelsmann SE & Co KGaA, claims to be the first fund in India to start focusing on investing only in growth stage startups. It set up shop here in 2013 and, according to Pankaj Makkar, who runs the India investment arm, the fund is one of the most successful series B and C investors in the country. Makkar, who is based in New Delhi, has led investments in startups such as hotel booking website Treebo, music streaming company Saavn, online furniture website Pepperfry, edutech startup iNurture, and online lending platform Lendingkart. According to Makkar, thanks to its early mover advantage, the fund has had a very good deal flow, especially because of access to deals that were high in quality. One other advantage that the fund had was that a lot of other funds that end up competing with each other saw Bertelsmann India as a collaborator because “we weren’t going after their series A market”, Makkar tells Inc42. Our conversation with Makkar covered aspects of how Bertelsmann India — whose German parent has a net asset value (NAV) of a “few” billion dollars — operates and how it classifies risk, which is the deciding factor for its ticket sizes. Here are some excerpts from this week’s Moneyball with Pankaj Makkar, the managing director of Bertelsmann India Investments. Inc42: How does Bertelsmann position itself in the Indian market? Pankaj Makkar: Bertelsmann India Investments is a part of Germany based Bertelsmann Investments, which is a house that owns four VC (venture capital) groups — one of which invests in the US and Europe, another in China, the third one in Brazil, and the fourth one in India. We came to India in 2013 and we saw that there were a lot of VCs who were either stage-agnostic or were fundamentally early stage investors, doing seed and Series A. Most of them were into early stage (funding) because the entry valuations were cheap. Another thing we noticed in 2013 was that a lot of the the fund managers who were running these funds were either entrepreneurs from the IT industry or had been tech investors for a long time. Hence, technology came naturally to them. However, what was unique in 2013 was that there wasn’t even a single series B or C-focussed fund in the country. If you talk to anyone today, they say this area is currently the biggest gap, but going back to 2013, it was a gap that no one was even talking about. We decided that we are going to set up a fund that will focus on series B and C investments. One of the first things we did was to ask entrepreneurs and investors what is the definition of Series B, and guess what they told me? They said, if you raise a small cheque it is Series A and if you raise a large cheque it is Series B. Being VC investors for such a long time, we begged to differ. We said all the series of fundraising are a function of risk and not a function of ticket size and, hence, we design risk in various buckets. Inc42: Could you explain how you classify these risks? Pankaj Makkar: If a company has built its business where it’s not exhibiting three to four different types of risks then it is a Series B company. Because it’s not very risky, it should be given a higher valuation and thus a higher ticket size. So, the ticket size is an outcome of the risk in the business and not the other way round. Inc42: How has your definition of risk evolved over the years? Pankaj Makkar: Thankfully, we haven’t made blunders to change our thesis; we think there are eight risks that any company has. Four of them should be covered by Series A players and the other four should be covered by Series B folks. We are taking the competition risk (will the startup or the competitor be the winner) and we will take the macro risk — whether this is the right industry — and help it (the startup) grow the right way, etc. We will also take execution risk of growing the company and the exit risk. People in the market were doing things right but they were not going into the depth of how to classify the risk in the market. So, we started the first series B and C dedicated fund in the market. Today, we are one of the most successful series B and series C funds in India. Inc42: What advantages did you have being an early mover in this space — in terms of access or anything else? Pankaj Makkar: Our deal flow was and continues to be very good. We get access to deals that are high in quality. However, we have our own stringent rules regarding what works for each round of series funding. A lot of other funds that end up competing with each other saw us as a collaborator because we weren’t going after their Series A market. So, we got a lot of love from other VCs and we proved that year after year by sticking to Series B and, above all, by being long-term capital providers for some of their (other VCs) companies. Inc42: What value addition did you bring these startups? Pankaj Makkar: We brought the right capacities and value addition that Series B companies need. For example, others were adept at helping portfolio companies with technology and go-to-market strategy because that’s what a early stage company needs. We don’t do any of that; anytime a company comes to us, it is already a aspiring leader of the category it is present in. It needs a lot of help in hiring people to scale up, it needs helps in staving off and beating competition and it needs help in sales and marketing because the product is already built. These are also all the functions which are non-tech related, this is where we play our strength and this is what we are really good at. If there is a company that has $20 Mn of revenue and is doing really well but needs to build their tech, we will not make that investment. But if it is a company that has a $4 Mn revenue, tech is built in and needs sales/marketing to help scale, then that is the right company for us…we can underwrite a risk we understand. Inc42: What is the amount you invest and the stake that you ideally take in startups? Pankaj Makkar: Typically, we invest $5 Mn to $15 Mn as a first cheque with the sweet spot being $8-10 Mn and take a 15-20% stake. We come with deep pockets and a larger investment horizon — this is what entrepreneurs like about us, because unlike a fund that has to return capital in three to five years and there are exit pressures… we don’t have such pressures as long as the company is doing well. Inc42:Is there a certain pattern among your investments? Pankaj Makkar: We invest in anything tech and anything education. And within this, we invest in any company that does not have the four risks that I just talked about. PepperFry was a already aspiring leader in its category — it had a great team, a great product, and very good numbers, but it had competition from UrbanLadder and FabFurnish by the time we came in. At the time, macro aspects had to improve and consumer education had to happen… it was a classic Series B bet for us. Treebo has a good founder, a great product. When we came in, it had 60-70 hotels and today it has 400 hotels. At the time (we came in), product-market fit was established but there was competition from the likes of OYO, which needed to be staved off. LendingKart was a aspiring leader when we came in and at the time it had $10 Mn worth of books; now it have $100 Mn worth of books. All the companies we invest in need to have a tech angle. A brick-and-mortar business is something we will not invest in, the only exception being education, where we will do both online and offline. Inc42: In September last year, you guys were looking to put in $200-250 Mn in India, with $50-60 Mn being invested each year. Where are you on that? Pankaj Makkar: The math is very simple on that. We do between three-four investments each year and, on an average, let’s say it’s $10 Mn each and the follow-up investment is another $30 Mn. We should be closing this year with the standard three-four investments, plus follow-ons; the year should be as exciting as we were hoping it to be. Inc42: What are the type of companies, use cases, or verticals you’re excited about? Pankaj Makkar: We are quite excited about the enablement space — big players have emerged and they need help to continue building large businesses and so commerce enablement is a interesting theme that we see, and within that comes logistics. Digital media also is seeing some interesting platforms and fintech continues to be hot. These are the trends we see from the next 12-18 month perspective. 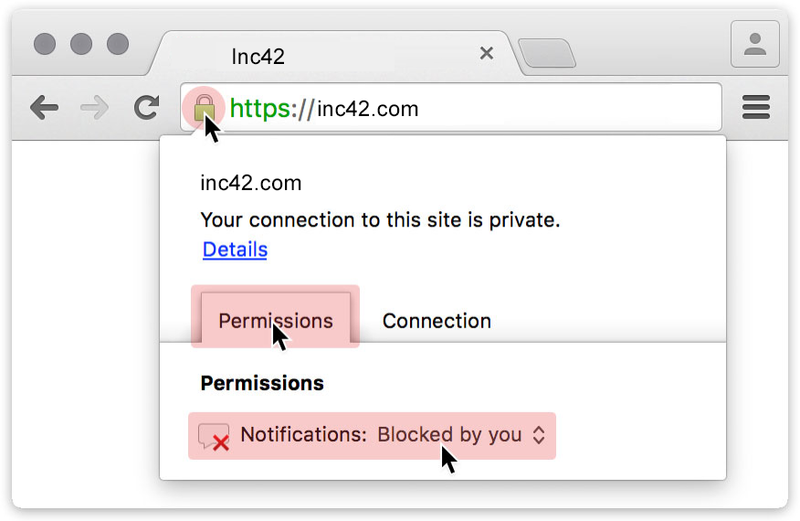 Inc42: Any announcements you expect to make soon? Pankaj Makkar: In about two months, we could be announcing one or two deals. Inc42: You have sister funds in China and other regions; are there any insights you have gained from your colleagues running these funds? Pankaj Makkar: We talk to our Chinese colleagues a lot, covering tech, trends, and new types of companies. A lot of our portfolio companies take help from our China fund to reach out to other Chinese companies and get valuable insights. Being part of such a global network not only helps our team, but helps the portfolio companies in a big way. Discussion with Chinese companies happen for specific reasons that often relate to understanding how their market evolved versus how India evolved. The discussion with our US colleagues is because they’re closer to Amazon, Google, and Microsoft and are in a better position to understand their aspiration vis-à-vis India. Similarly, with the Brazilian fund, we talk about education because what China is to India in tech, Brazil is to India in education. Every fund adds value. Inc42: And what is the Bertelsmann India fund to them, what inputs does it offer? Pankaj Makkar: A lot of the Chinese investors look at India as their second market and one of Bertelsmann’s portfolio companies called Club Factory just launched in India. For them to understand and launch operations in India is an exciting opportunity and that is what we are to them. Inc42:What are some of the challenges you face in the Indian ecosystem right now? Pankaj Makkar: This is a very competitive market and most of the entrepreneurs have the backing of good investors; by the time we come in, we’re also competing with the existing investors. The problem here is that the early investors don’t ask questions about how deep the market is. These early investors make a lot of money irrespective of whether the portfolio sells at 10x or 20x. For us, at the stage we come in and the kind of money we put, if you are not clear of how deep the market is, then we are putting good money in a bad company and that’s a significant challenge for us. The earlier 10x example I gave you is worth half-a-billion to a billion dollars for me. Can you tell me how many companies in the last five years in the VC ecosystem have been sold for this amount? Only a handful like Myntra and Flipkart. Inc42: What are your tips for entrepreneurs pitching to you? Pankaj Makkar: When you are coming to someone like us, be sure of what you are trying to build. You can do enough pivots when you are a small company with Series A or seed money and also because a lot of VCs like pivots because it unlocks bigger markets for the business. Don’t come to us and tell us we might pivot but still give us $50 Mn valuation. We are putting money and faith in a market where the outcomes are not there yet and this leap of faith should not be complicated by adding variable like changing business goals. We want our entrepreneurs to be very disciplined about what they want to do. Treat us as growth capitalists within the venture space.